“Star Wars Rebels: Spark of Rebellion” will be available on the Watch Disney XD app, Monday September 29. 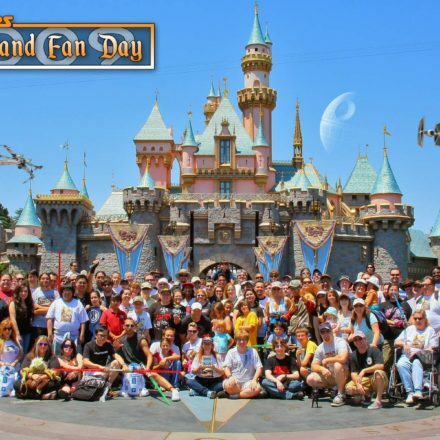 With the premiere telecast on Disney Channels around the world on October 3rd. For more details continue reading the post below. Continuing the epic tradition of the legendary Star Wars saga, an exciting animated one-hour movie “Star Wars Rebels: Spark of Rebellion” will be available first to verified users on WATCHDisneyXD.com and the WATCH Disney XD app beginning MONDAY, SEPTEMBER 29. WATCH Disney XD allows consumers to watch on tablet, phones, computer and set top boxes. The global television debut of “Star Wars Rebels: Spark of Rebellion” is set for FRIDAY, OCTOBER 3 (9:00 p.m., ET/PT in the U.S.) on Disney Channels around the world, ushering in the series “Star Wars Rebels” beginning MONDAY, OCTOBER 13 (9:00 p.m., ET/PT) on Disney XD. The series will air in 34 languages across 163 countries in over 400 million households. The television movie garnered rave reviews at last month’s San Diego Comic-Con fan event for its story (set between the events of Star Wars Episodes III and IV) and its look — akin to the classic Star Wars trilogy. The series designs are influenced by the work of original Star Wars concept artist Ralph McQuarrie. The story unfolds during a dark time when the evil Galactic Empire is tightening its grip of power on the galaxy. Imperial forces have occupied a remote planet and are ruining the lives of its people. The motley but clever crew of the starship Ghost — cowboy Jedi Kanan, ace pilot Hera, street-smart teenager Ezra, the”muscle” Zeb, warrior firebrand Sabine, and cantankerous old astromech droid Chopper — is among a select few who are brave enough to stand against the Empire. Together, they will face threatening new villains, encounter colorful adversaries, embark on thrilling adventures and become heroes with the power to ignite a rebellion. “Star Wars Rebels” is created by Dave Filoni (Star Wars: The Clone Wars), Simon Kinberg (X-Men: Days of Future Past, Sherlock Holmes), and Carrie Beck. The Lucasfilm Animation production is also executive-produced by Filoni and Kinberg as well as Greg Weisman (Gargoyles). “Star Wars Rebels: Spark of Rebellion” one-hour movie will be available to verified users on WATCHDisneyXD.com and the WATCH Disney XD app for smartphones and tablets. It will also be available on Disney Channel SVOD. 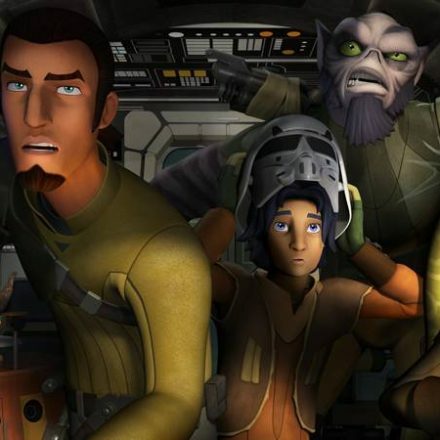 Premiere telecast of the one-hour movie “Star Wars Rebels: Spark of Rebellion” (9:00 p.m., ET/PT) on Disney Channel. “Star Wars Rebels: Spark of Rebellion” will be available on Disney XD VOD and for purchase through Apple iTunes, Amazon Instant Video and Google Play. “Star Wars Rebels: Spark of Rebellion” (8:00 p.m., ET/PT) premieres on Disney XD. 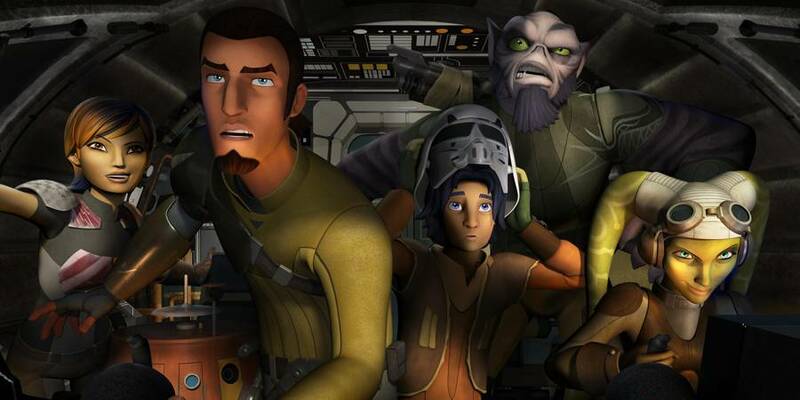 “Star Wars Rebels” (9:00 p.m., ET/PT) series premieres on Disney XD. “Star Wars Rebels: Spark of Rebellion” will be available to own on DVD in retailers nationwide. The DVD includes the movie, a free Ghost 3D model ship, four “Star Wars Rebels” shorts, plus a never-before-seen piece that takes you deeper into the world of “Star Wars Rebels” and the upcoming season. In the Disney Channels Worldwide portfolio, there are 42 Disney Channels and 30 Disney XD channels, in over 30 languages, reaching hundreds of millions of viewers around the globe. Disney Channels Worldwide is part of the Disney/ABC Television Group. RX droids to appear in Rebels?